a sterile, purified, coagulation factor VIII concentrate produced by recombinant technology that possesses biological activity comparable with that of human plasma-derived coagulation factor VIII. It is used to prevent or stop hemorrhage during surgery or other procedures in patients with hemophilia A. It is administered intravenously. 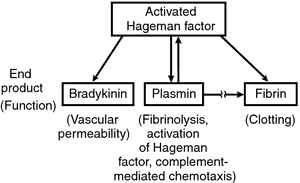 The most serious adverse reactions with Helixate FS are systemic hypersensitivity reactions and the development of high-titer inhibitors necessitating alternative treatments to antihemophilic factor. CSL Behring announced today that Helixate([R]) FS, Antihemophilic Factor (Recombinant), has been approved by the U. Food and Drug Administration today approved Bayers Kovaltry antihemophilic factor VIII (recombinant) for the treatment of hemophilia A in children and adults. New second-generation erythropoietins, lower dosing human insulin analogs, anti-arthritic beta interferons, albumin-free antihemophilic factors and longer-circulating colony stimulating factors will drive growth. But, an increasing number of distributors are focusing on specialty pharmaceutical products for physicians and patients, handling such drugs as rheumatology and nephrology products, vaccines and biopharmaceuticals, oncology drugs, and plasma derivatives including albumin, immunologic products, hyper-immune globulins and antihemophilic factors, and other critical specialty products such as surgical items. It also is a single-source distributor of intravenous immune globulin, hyperimmunes, albumin/plasma protein fraction and antihemophilic factors.